The Law Offices of Wells | Olah, P.A. is pleased to announce that as of June 1, 2018 Kevin T. Wells, Esq. 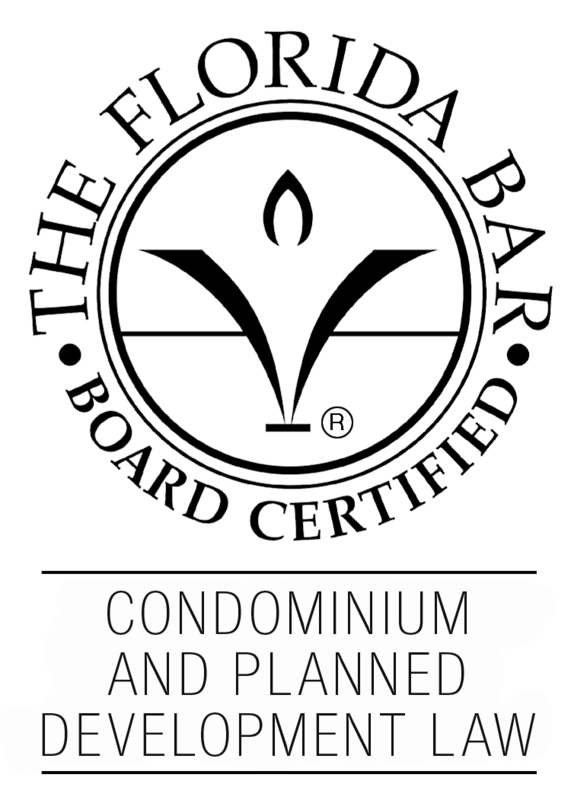 has received his certification in Condominium & Planned Development from The Florida Bar. This is the highest recognition by The Florida Bar for an attorney in their specialty. ATTORNEYS INDICATING "BOARD CERTIFIED," OR "SPECIALIST," OR "EXPERT" HAVE BEEN CERTIFIED BY THE FLORIDA BAR AS HAVING SPECIAL KNOWLEDGE, SKILLS, AND PROFICIENCY IN THEIR AREAS OF PRACTICE AND HAVE BEEN EVALUATED BY THE BAR AS TO THEIR CHARACTER, ETHICS, AND REPUTATION FOR PROFESSIONALISM IN THE PRACTICE OF LAW. ALL PERSONS ARE URGED TO MAKE THEIR OWN INDEPENDENT INVESTIGATION AND EVALUATION OF ANY ATTORNEY BEING CONSIDERED. This notice published by The Florida Bar Board of Legal Specialization and Education.